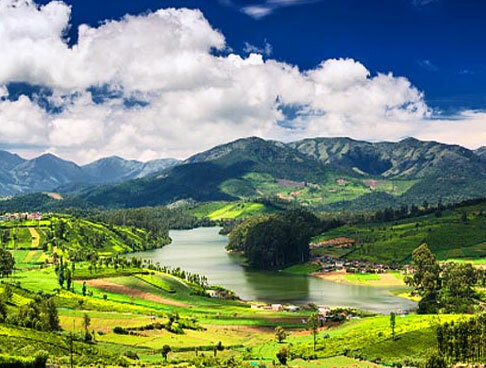 Rejuvenating Kerala Ayurveda Tour by Kerala Backwater is a well-planned tour package of 7 Days / 6 Nights which gives you a chance to explore the beautiful destinations of Kerala, God’s Own Country. Visit the beautiful attractions of Cochin like Kochi Fort, Dutch Palace and St. Francis Church, enjoy backwater cruise at Alleppey, indulge in water sports at Kovalam and go for a sunbath at Kovalam beach. Experience relaxing and rejuvenating Ayurvedic therapies amid the serene and pleasant ambiance of Kovalam. 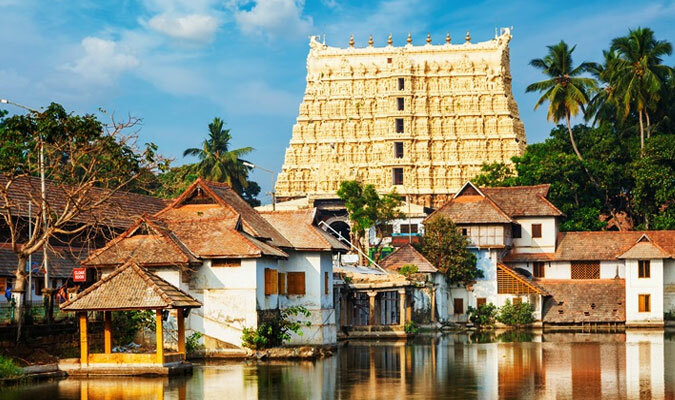 Also visit popular attractions of Trivandrum, like Padmanabhaswami temple and Shri Chitra temple. 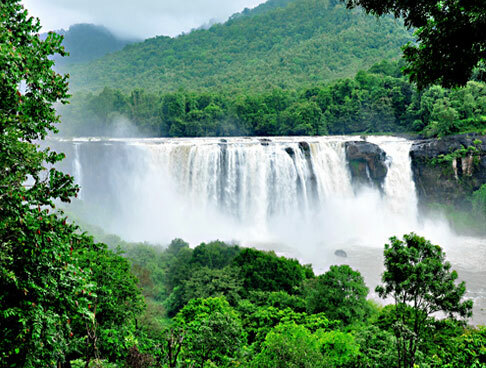 This is a perfect tour package for those who wish to spend some time amid the tranquility of Kerala, away from the hustle and bustle of their daily lives. On reaching Cochin airport, meet our IHPL representative who assists while you take a transfer to your pre-booked hotel. After completing all the check-in facilities, relax for some time in your room. Later, leave for a sightseeing tour of Cochin. 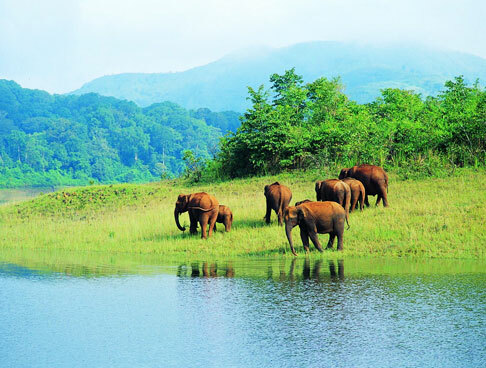 Through the years, Cochin has carved a special place for itself as a tourist destination. The first European colonial settlement in India, Cochin is best known for its rich culture. The city was also featured in National Geographic Traveller’s ‘50 greatest places of a lifetime' under the 'Urban Space' category. Visit major tourist attractions of Cochin like Kochi Fort- one of the most popular attractions of Kochi, Kochi Fort is a historical part of the city and home to many famous tourist attractions of the city like Mattancherry Palace, Fort Kochi beach and the Santa Cruz Basilica, St. Francis Church- India’s oldest European church, Jewish Synagogue- built back in 1568 AD it is a popular place of worship among the Jewish community, Dutch Palace- Popular Portuguese palace known for featuring Kerala Murals depicting Hindu Temple art and Hill Palace- the largest archeological museum in Kerala. Later, pay a visit to the Chinese fishing nets being lowered at the Vasco Da Gama Square which are the star attraction of Cochin. Go for a stroll around the Cochin spice market in the evening. After sightseeing around Cochin, return to the hotel for dinner and stay overnight. This morning, munch some healthy breakfast and then leave for your next destination, Alleppey. 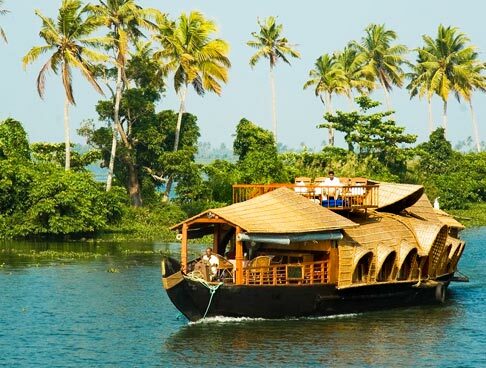 Alleppey is the land of alluring backwaters which features immense tranquility and natural beauty. The place is also known as the Venice of East because of its numerous waterways which form a channel of lakes and canals. On reaching, check-in at your houseboat. 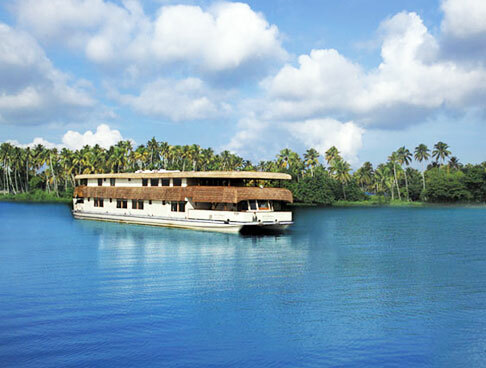 Spend the day at leisure and enjoy cruising through the beautiful backwaters. While you move through the backwaters, get to know about the lifestyle of the villagers living along the backwaters. Later, enjoy dinner and stay overnight at the houseboat. Have your breakfast in the morning and then leave for your next stop, Kovalam. Kovalam is a captivating destination, known its picture perfect beaches and refreshing ambiance. One of the most popular destinations of Kerala, Kovalam has something for every traveler with its unending attractions. Enjoy sightseeing at historical landmarks, luxurious Ayurvedic massages, water sports and more at Kovalam. On reaching Kovalam, check-in at your pre-booked hotel. After relaxing for some time, step out to explore the scenic beauty of the beaches of Kovalam. You can indulge in water sports like wooden boat ride, surfing, motor boat ride or just sunbathe. You can also take herbal massage from any massage center near the beach. Later, in the evening, return to the hotel for dinner and stay overnight. This day is booked for an Ayurveda therapy. Experienced doctors at the resort analyze your body and then offer you a variety of therapies as per your body. They also provide you a diet chart prepared on the basis of Ayurveda policies. The therapy includes different herbal massages, yoga asanas and steam baths. During the period of this therapy, people are not allowed to exert much. Also, consumption of alcohol and tobacco is not allowed to achieve the best results. After munching your breakfast, spend the day at leisure. Enjoy Ayurvedic and spa treatments offered at Kovalam. Kovalam is a great place to enjoy Ayurveda therapies and treatments because of its peaceful ambiance and lush green surroundings. The ambiance perfectly complements with the therapies of Ayurveda and completely rejuvenates the mind, body and soul of an individual. Enjoy your dinner and stay overnight at the hotel. This morning, post breakfast, spend the day at leisure while enjoying various therapies and treatments based on the Science of Life- Ayurveda. Ayurveda is a 5000 year old system which has its origins in India. People from all over the country and the world visit Kovalam to experience Ayurveda at its best. 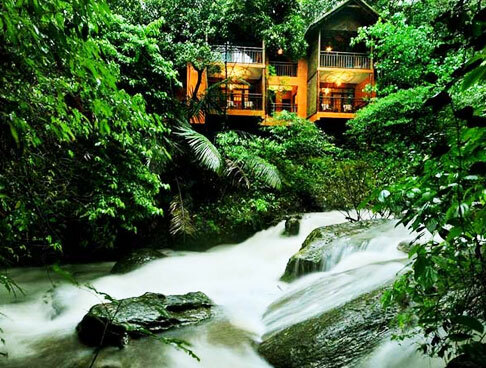 This is the last of your rejuvenating Kerala Ayurveda tour. Start driving towards Trivandrum in the morning. 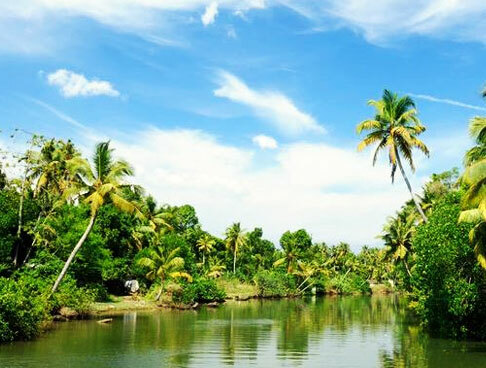 Trivandrum (Thiruvananthapuram) is more like a paradise and allures tourists from all over with its beautiful palm fringed beaches, serene backwaters and ancient temples. This breathtaking destination promises to de-stress you. On reaching Trivandrum, check-in at one of the listed hotels. Rest and relax for some time in the room and then leave for sightseeing around Trivandrum. Visit major tourist attractions of Trivandrum like Padmanabha Swami Temple- One of the richest temples in India, the temple is dedicated to Lord Vishnu, Shri Chitra Art Gallery and the Museum- these feature a unique fusion of Indian and contemporary art. The gallery displays the works of artists like Rabindranath Tagore, Raja Ravi Verma and more. In the evening, return to the hotel for dinner and post dinner, take a transfer to Trivandrum airport to board your flight for onward journey.